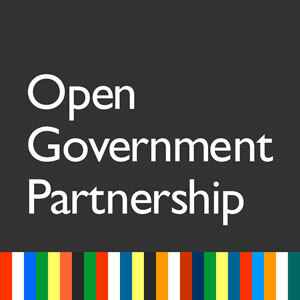 Open Government Partnership: From Commitment to Action…? Under the Open Government Partnership governments commit to transparency, and using technology to fight corruption. The Partnership creates a potentially unique opportunity for civil society to push for government accountability and empower citizens in the fight against corruption. Gathered at a scenic Adriatic coast in Dubrovnik, European civil society organisations were supposed to discuss their experiences of the Partnership with participating governments. However, the meeting left many questions unanswered. Above all, what is the role for NGOs? The two groups of civil society organisations and governments were kept in separate rooms, and the lack of a joint session limited the learning from each other emphasised in the welcoming remarks. Considering the publicity about the first year of the OGP and the “Bringing the Governments and Civil Society together” motto, one would have expected more interaction, and I hope this changes at future meetings. It was not until I read a very informative blog post by Global Integrity earlier this week that I found out what happened in the government room. Have the participating countries made commitments that can really contribute to open and transparent governments? Good indicators for gauging the Partnership’s success at this early stage is the content of the action plans governments submit. Another is how the process by which they consult with the public. The NGOs I heard from in Dubrovnik delivered a mixed verdict. Obvious inconsistencies in different countries were also uncovered by an analysis of all national action plans for meeting OGP commitments published so far carried out by Transparency International Ukraine. The good news is increasing access to information particularly in the area of public procurement and budgeting: more then fifty percent of the participating countries’ action plans contain commitments in this field. For example, Croatia’s action plan commits to substantial fiscal transparency, such as publishing a wide range of budgetary documents, including the proposal of the state budget and updated monthly reports on budget execution. The government also commits to explain to the public how the changing economic conditions modify revenue and expenditure plan for the budgetary year. In other countries, however the meaning of “open government” has been interpreted widely. The action plan of Malta features a section entitled Clean Beaches. Another section prioritises the establishment of modern facilities for the management of waste. While these measures sound like good initiatives on their own, are they relevant to the goal of making government more open and accountable? NGOs at the meeting were concerned: should the Partnership include governments that restrict basic civil rights and liberties, such as the freedom of assembly? It sounds paradoxical to say the least for governments to commit to creating sophisticated online platforms for citizen participation while at the same time putting bloggers in jail. Are governments dealing with civil society? We heard some good examples of governments having taken public consultations seriously. Romanian government has put up a Google document online to allow NGOs to provide direct input into the text of the action plan. Open Government Partnership: From openness to transparency? We were also told of not-so-encouraging examples, where the action plan has been the result of mere copy paste from the already adopted anti-corruption strategy. This appears to be the case in Turkey. The spirit of the Open Government Partnership is still experimental. Civil society is well aware that peer pressure for openness can create the right incentive structures for the governments. That creates a potentially unique opportunity for us to push for the long overdue reforms and measures. Developing clearly defined standards for evaluating the action plans and setting benchmarks for success is the step in the right direction. We still have to see what approach governments take to judge whether OGP can walk the talk of openness and transparency.